Should Veterans Be Honored During Church? 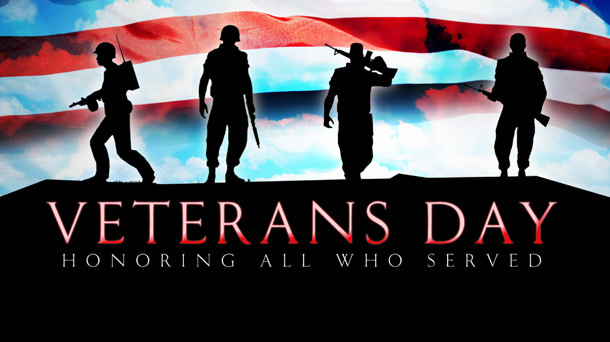 The United States celebrates Veterans Day on November 11. This annual holiday honors our veterans – people who have served in the Armed Forces. We also celebrate Memorial Day the last Monday of May to remember those who died while serving. Churches often make these holidays part of their weekly worship service. A short video is played, a moment of silence is observed, or veterans are asked to stand to receive applause (which usually turns into a standing ovation). Churches also host events to “support our troops.” They write letters, raise funds, or collect supplies to send to soldiers who are serving overseas. But should veterans be honored during church? Should the church support America’s troops? What most Christians don’t realize is that the church is its own nation with its own soldiers. Paul refers to Epaphroditus and Archippus as “my/our fellow soldier” (Philippians 2:25, Philemon 1:2). He tells Timothy, “Endure hardship with us like a good soldier of Christ Jesus” (2 Timothy 2:3). (Click here for more info about persecution against Christians). How many churches are suffering with the persecuted church? How many are remembering our fellow believers who are imprisoned and mistreated for the gospel? How many are supporting our troops who are serving Jesus in hostile areas? The New Testament also tells us to honor persecuted Christians. Paul says of Epaphroditus, “Honor men like him, because he almost died for the work of Christ, risking his life to make up for the help you could not give me” (Philippians 2:29-30). How often does the church honor those who risk their lives for Jesus’ sake? And let’s not forget about missionaries! Is it not ironic that an American soldier gets a standing ovation at church, yet a Christian missionary often gets no applause at all? So should veterans be honored during church? Absolutely! The church should honor its own veterans who have fought for the kingdom of God. It should honor its own soldiers who are fighting for the cause of Christ. But what about American veterans? Should we honor them too? It seems hard to argue that we shouldn’t. After all, didn’t they fight for the freedom of religion that allows us to gather in the first place? Would we even be allowed to meet for worship if it weren’t for their sacrifice? So it seems appropriate for veterans to be honored during church. But only if that church is already honoring its own veterans by remembering and praying for persecuted Christians on a regular basis. Should veterans be honored during church? Leave your thoughts with a comment below! Great point of view. All too often we take our religious freedom as a granted right and fail to realize/remember the daily battle for the spiritual freedoms that are being fought around the globe. Thanks again for another thought provoking post! !